A traditional tribute wreath with beautiful shades of pink and white. The wreath is skilfully arranged by our professional florists with Roses, Carnations, Eustoma, Chrysanthemums and forest fresh greens. 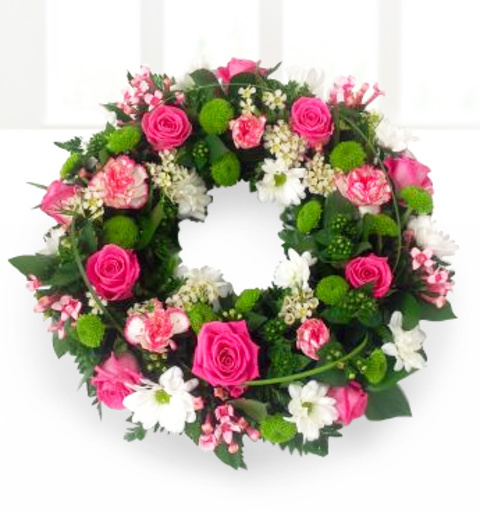 Our best selling sympathy wreath for times of sadness, loss and mourning. All funeral arrangements are hand delivered direct to the funeral.